When you’re going for certain looks, there just isn’t much you can do except bite the bullet and pick up one of these handy Bald Cap Kits. Because nothing says total egghead, lonely eccentric gazillionaire, or oddly-attractive vaguely magical masculine household cleaning specialist like a naked dome-piece! 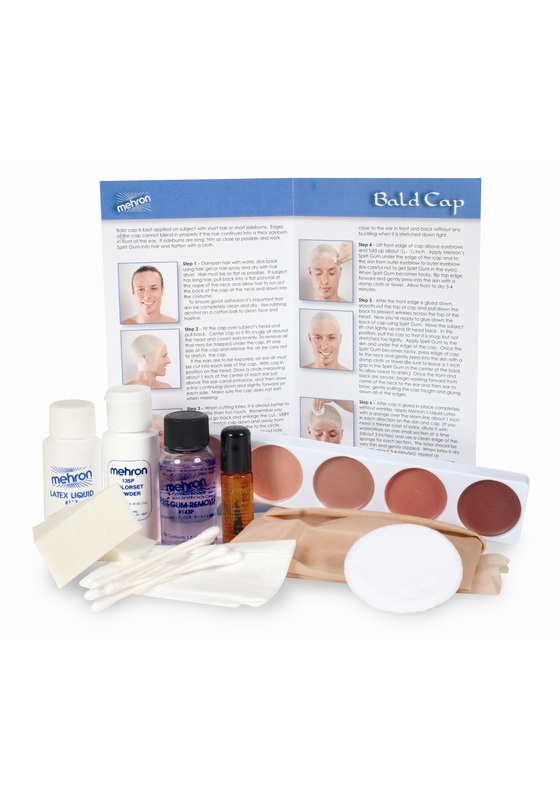 And this professional-quality kit includes detailed instructions with illustrations that will take you to the brink of hairlessness and back with as little fuss as possible. Of course, the most realistic option is simply to give your head a silky-smooth shave—but that requires a patient friend with steady hands or a tricky mirror setup. Plus, part of the fun of dressing up is shedding the disguise when you’re ready. So if you’re actually going the old-fashioned route, you’d better be sure you’re making the right decision: there’s going to be plenty of time to reflect on what you’ve done!